This is a bead stopping component. 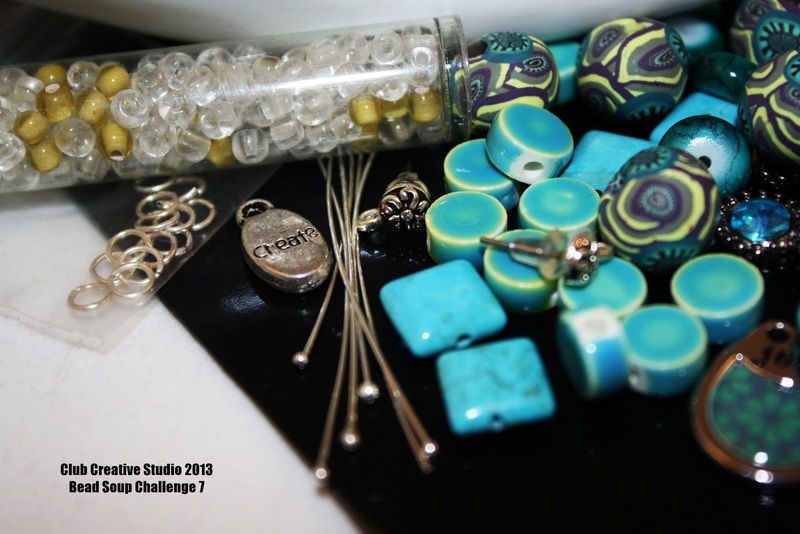 Club Creative Studio’s TNT (This-N-That) post today is about a creative solution in bead making. If you are into stringing, you know that there is nothing worse than spending time with a hand-made item and then experience some degree of failure. When you are involved with the technique of stringing beads, you want the task to be enjoyable and successful. You would even like it to be a bit relaxing or therapeutic. Stringing beads is a rhythm and a pattern. To avoid a break in that process, any mishaps like a sudden loss of a completed string of beads falling to the ground is heart-breaking. I have found the ideal product that can be used to assure that a string of beads will no longer be unstrung if it is left in an undeveloped state of progress. My small collection of a useful stringing tool. 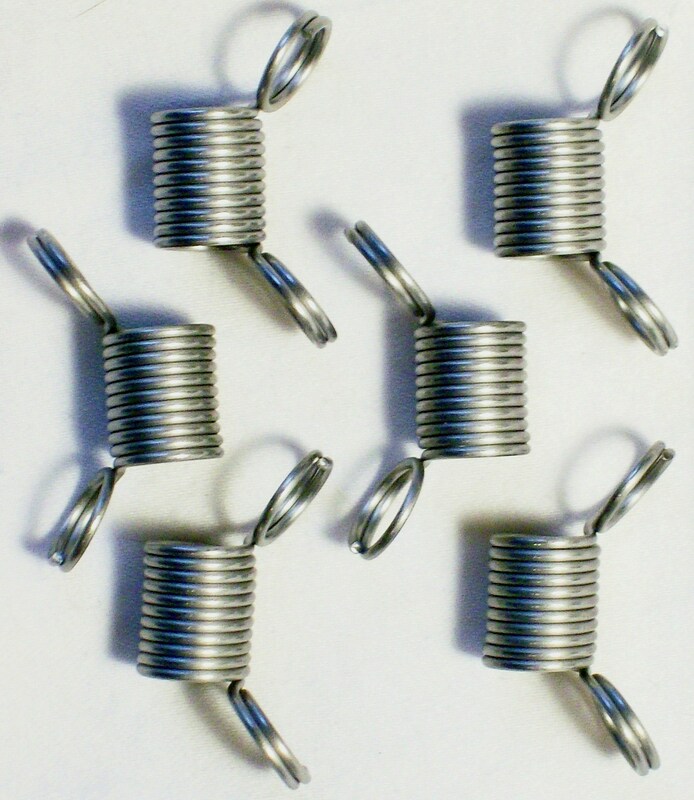 The interesting stainless steel coiled clips are small items that have a strong hold onto the ends of stringing thread or wire. Some companies call them “Bead Stoppers” and that is a good name to describe what they do. They stop beads. 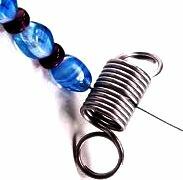 To use, you gently squeeze both ends to open, and place your strand in-between two of the coils and release ends. The grip allows for the beads to be held until you squeeze the ends once more. Attaching and end of a beaded strand secures the beads from an accidental spill. This is used by bead artists who are mid-stream in a project, have many different projects going at once, or want to bundle their beads to a stopping point for storage. I often use these supportive ends to work from one end to the middle, and then adjust the strand to center the design, and string the other end to match. 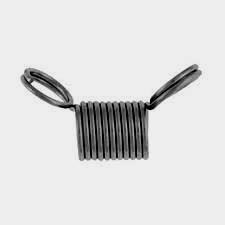 These bead stopper coils have easy grip ends. If you have had frustrations in beading strands and do not like dropping it and starting over, then this is something that you can use to give you back some productive time. They come in several sizes and you can either use two per strand, placing one strand in an area or use one clip, and separate the coils, and hold one single necklace end to end. Happy creating and let me know if you use these when stringing or if you are now considering trying them. I used to use other methods like larger clips or tape but, there is a difference using something that is made specifically for bead-makers, they the (inventors) were really onto something when they created this simple tool for us. It solves a big problem. Z is for Zen. Achieving the state of calmness in self and environment that everything is “right” and aligned with self and the universe means total zen to me. Don’t we all want to enjoy that feeling? I find my Zen Zone in beading. 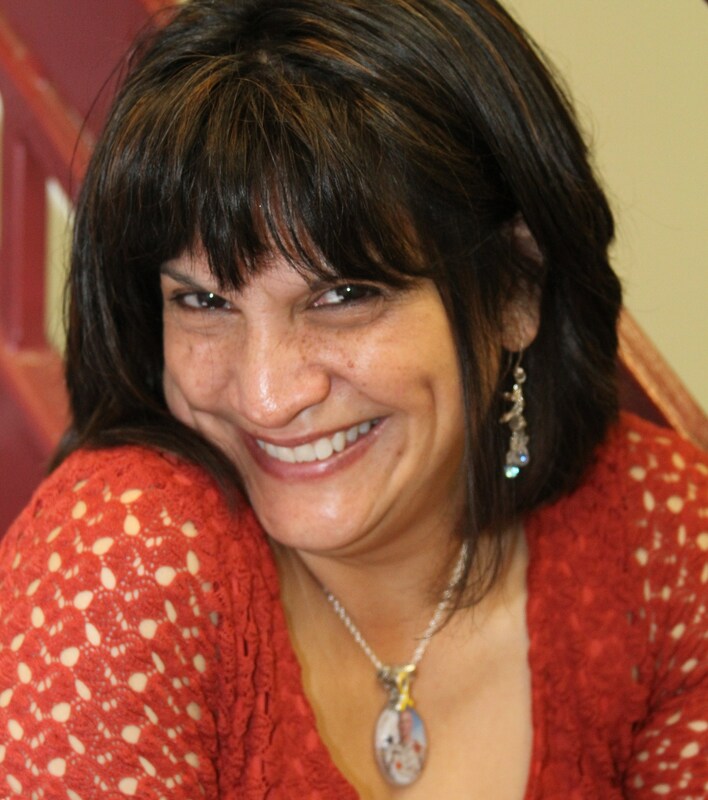 Now that my first A to Z blog challenge is complete, I have realized “my creative zen”. OMM! What will you do to reach the state of creative bliss? 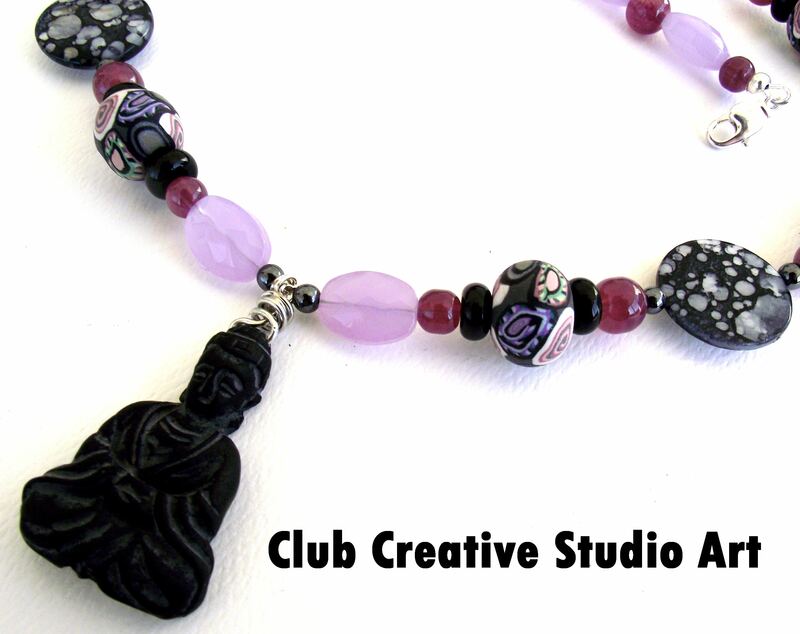 Club Creative Studio hand-made beaded zen necklace. It has been a delight to share information and art with you from Club Creative Studio. It has been a wonderful challenge to use the alphabet as a creative prompt for that venue. Thank you to those involved with brainstorming, maintaining, supporting and promoting this blog challenge. 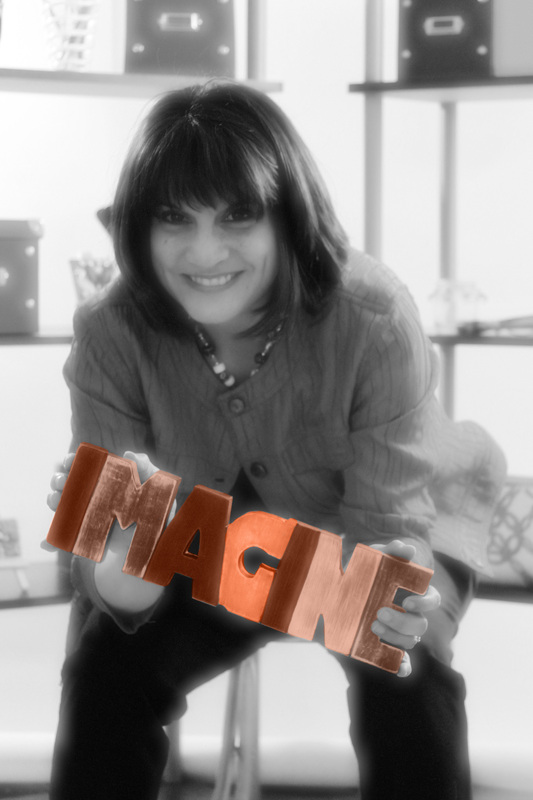 Thank you for following Club Creative Studio’s posts and the journey through the alphabet with a focus on CREATIVITY! I will surely take part in this challenge again. This does not mean that the blog comes to a halt. Please stay tuned for more information that deals with the theme of creativeness. If you are new here, and as a reminder, I try to blog a few times a week. On Tuesdays, the theme is called: Two-Cent Tuesday. 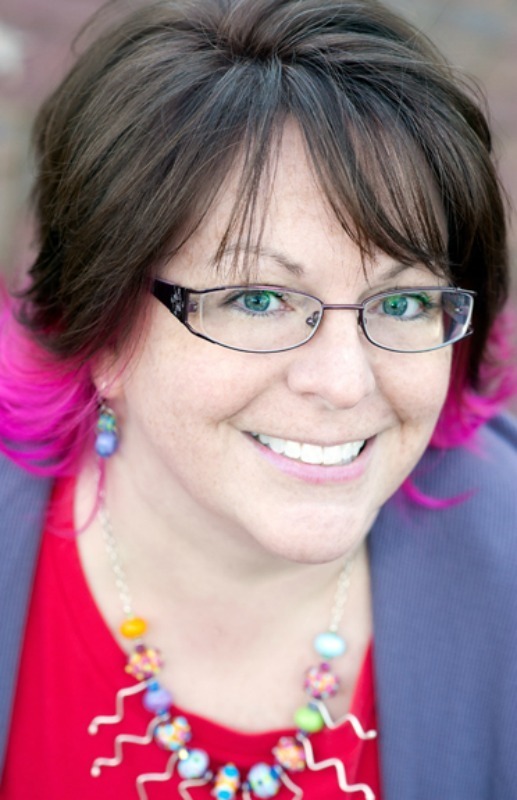 I focus on sharing a low-cost idea, or activity. On Thursdays, the post is refered to as: a TNT post. This means it has a wider topic range and fits nicely into being called “This-N-That”. Feature Friday is the day where I normally highlight something new or interesting from the design table at Club Creative Studio. Take the steps to create your place of creative zen today! In the A to Z Blog Challenge, I am blogging today with a focus on the letter f. F is for Findings. What are findings? Findings are not hard to “find” unless you drop a few of them in deep pile carpet. Findings are small elements that are needed to finish a jewelry project when creating it. It can be referred to in many forms. A finding can be a hook, a closure, a small metal detail like a protective guardian wire, among a few examples. Jewelry Findings is an old world term used to describe the components which go into the making of jewelry. Findings used often in jewelry-making are wire hooks, loops, beads and caps, bead cones, clasps, crimps, charms, head pins, and eye pins to name even more. Most online sites, books, and stores have organized their Jewelry Findings in a few different ways for viewing and shopping convenience. If you know your material and finish preference, you can navigate by the type of material. Often offered are precious metal, solid metals, or base metal findings. Categories are then further broken down by types of findings. Findings are not hard to FIND! Once you know the type of finding you are looking for, you can decide on the various types of specific earring findings, clasps and toggles, bails and component holders to name more. Sometimes, a finding is a not so common element needed to complete a project. As examples, a clasp shortener, eye-glass sling, or pin finding and pin clutch fit into that category. A shortener clasp finding allows you to convert a long strand of pearls or beads to wear it as a double strand. 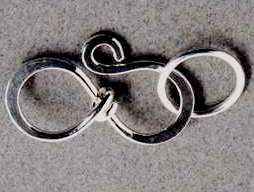 Also called a twister clasp for twisting multiple strands together. Pins and a clinch clutch are sometimes sold separately. Pin findings have a flat top. Pin clutches have flanges that can be pinched to make the clutch easier to remove from the pin. 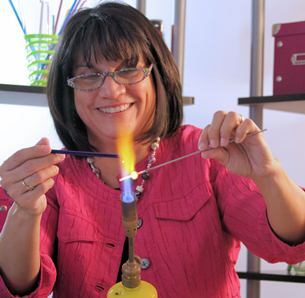 Now that you can identify what a finding is, you can perhaps appreciate the functionality and details of findings in jewelry art. Be sure to check out how I incorporate my findings in created art and see if you can spot a hand-made finding in Club Creative Studio items. Club Creative Studio continues to share information about creativity and this blog is an expression of the love (addiction) to many forms of art found around us. There are a vast array of expressions of creativity and some of the methods can be very habit-forming. I am addicted, for instance to the art form of beading. This blog will share some reasons why. It is with pleasure that I accept a creative blog challenge called: The A to Z Blog Challenge. It involves posting information for the next twenty-six days in a row. 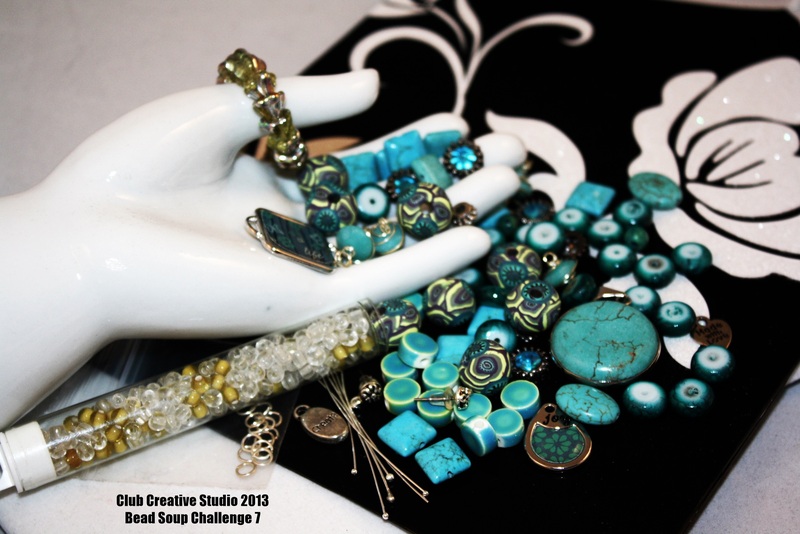 Club Creative Studio is member number 910 for this blogging challenge. Everyday beginning in April. 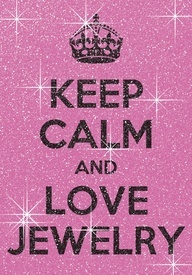 2012, I will post a blog entry with a focus on each letter of the alphabet, and how it relates to my addiction to beading. Today, as I begin with the letter “A”, there are also 1,712 other members of this challenge doing the same things writing about what they are passionate about. 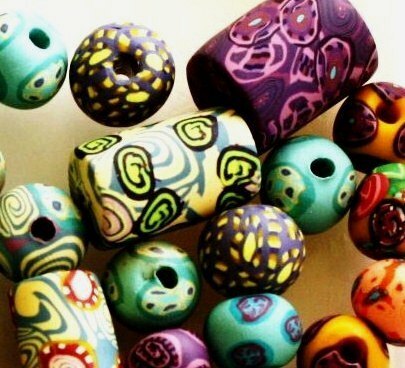 Why I am addicted to beads and beading? I am addicted to beading because the art allows me to use my imagination in creating one-of-a-kind beads and items everyday! Good Fit. I started to figure that maybe my addiction to beading was a good fit for me when I discovered that I was dreaming about new clay forming techniques and jewelry designs and concepts. My day and night hours became blurred, and I was making a great start on gaining an inventory several years back. 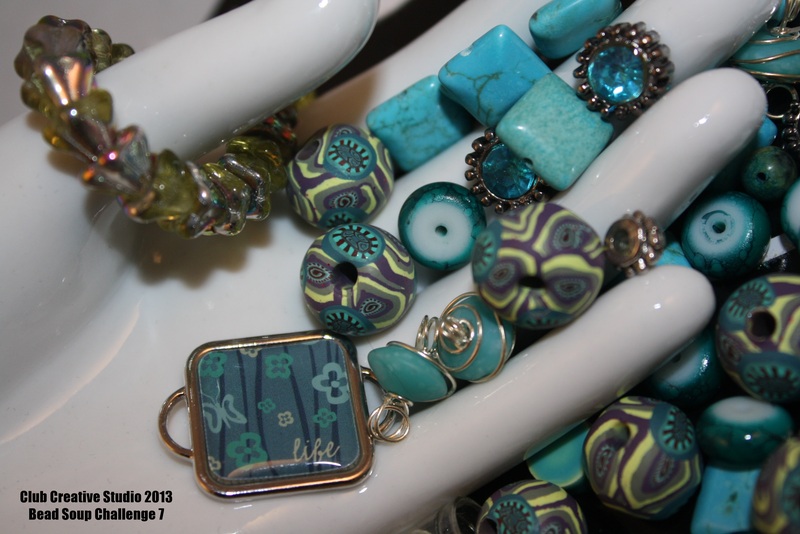 I was at peace when I was creating and comfortable when I created hand-made beads. 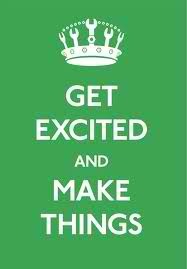 I am able to be creative everyday! Beading provides the hands-on activity that gives me a sense of accomplishment as an artist, and exploration of the thrill of color and the production of a tiny hand-made and valued treasure. Stress Relief. Beading does bring stress relief. Beading helps me relax and de-stress as well as challenge my mind and have fun at the same time. Other reasons for using beading as stress relief can be in the form of a way of staying occupied, as a way to deal with anxiety disorders, and even as a form of physical therapy! It is a creative time for me to focus on God-given talents. A Sense of Accomplishment. Anyone who loves beading also knows that there’s nothing quite like the feeling of finishing a project, selling your creations or wearing a brand-new piece of jewelry in public and being able to tell your astonished admirers, “I made it myself!” I have discovered that I provide a special service as I explain the process it takes to create original hand-made beads and incorporate them into one-of-a-kind art. When your efforts in your job make you happy then there is a reason to continue to do what you do best…and strive to improve along the way. I create Art That Sets You Apart! Friendships Formed Over Beads. 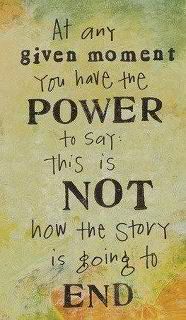 For me, this is constant. I’ve made so many wonderful friends since I started beading. 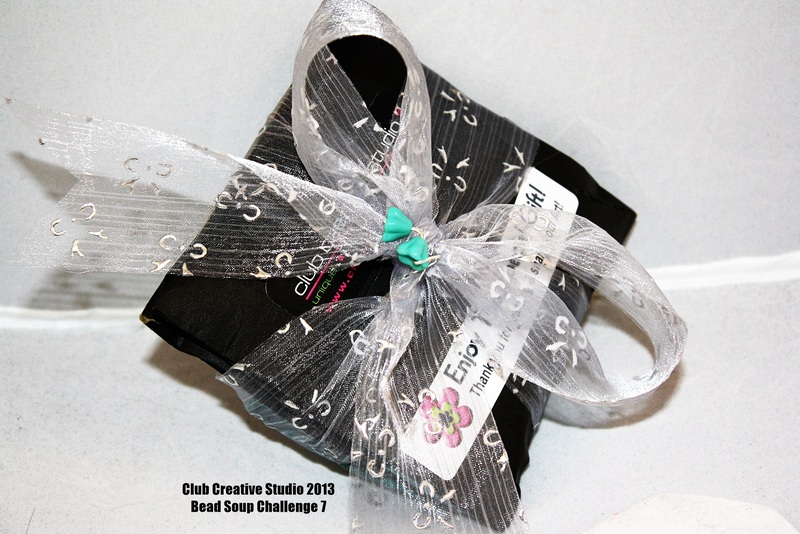 Club Creative Studio Facebook fans, blog followers and craft fair attendees have a bond from admiring my work. It has been easy to form and maintain a fellowship bond over beads as a common interest. It is not only the creativity that keeps me going, but it’s the friendships that have been formed from my customers that keep me doing what I do. Friends love to hear about the next creative beaded item, and I enjoy the interactions and suggestions from them. Along with special friendships I am also entrusted to create meaningful art. It is what provides an additional bond between the artist and the art owner. Mental Challenge. 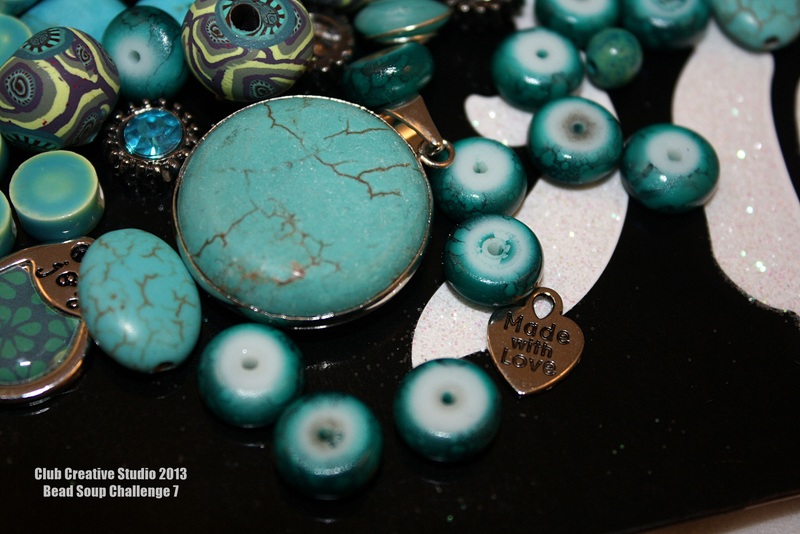 The challenging aspects in clay materials and designs are ongoing and satisfying aspects in beading. The unlimited design potentials keep me interested and motivated. I mix my own clay colors and each log cane is limited to create a certain small number of unique beads. 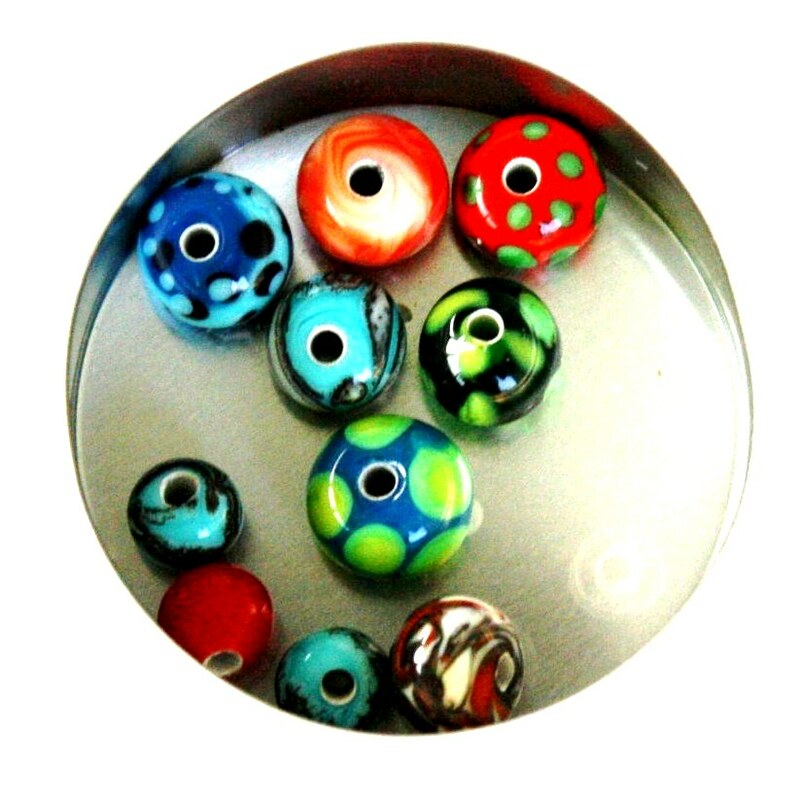 And as far as making beads in glass, not one creation is ever alike or duplicated. 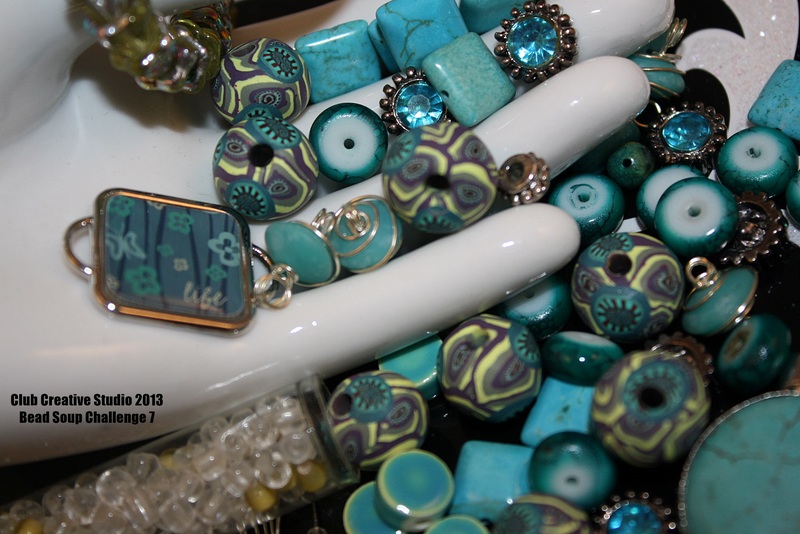 It is for that reason that my one-of-a-kind beads lead to one-of-a-kind art. Club Creative Studio Hand-torched Italian Glass Beads.